You’ve come to the right place for the best Shark fishing charter in Florida. Tampa, St. Petersburg and Clearwater are collectively known as the Tampa Bay Area and are home to an abundant population of many shark species in and around Tampa Bay and the Gulf of Mexico. 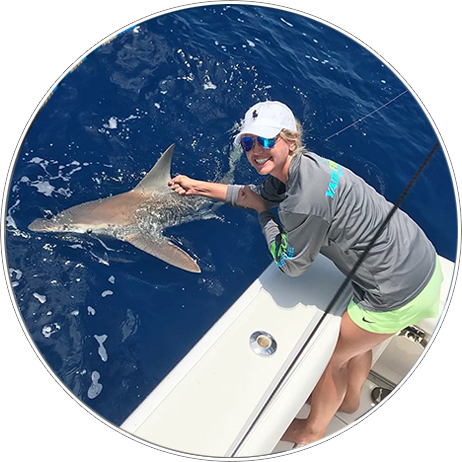 YACHTFISH Shark Fishing Charters has over 25 years’ experience catching Sharks of all varieties in the Gulf of Mexico, Atlantic, Pacific and throughout Central America and the Caribbean. 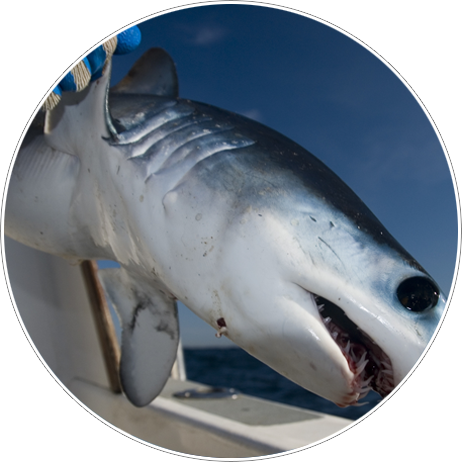 Based in St. Petersburg, Florida, YACHTFISH happens to be smack dab in the middle of some of the best inshore, nearshore and deep-sea Shark fishing in Florida. Sharks are plentiful all year round from the deep water of the Gulf of Mexico to the shallow flats in and around Tampa Bay. What’s the best time for a Florida Shark fishing charter? Whether it’s our popular night Shark fishing charters or our daytime Shark fishing charters, the action is always in season around the Tampa Bay area and the Gulf of Mexico. You and your group will enjoy your own private Shark fishing charter. This is not a party boat with 50 – 100 other people onboard. It is only for your group and is perfect for all ages and skill levels. Shark fishing trips usually range from 4 to 6 hours and will always be tailored to meet your specific needs. Each of our Shark fishing boats are equipped with state of the art electronics and safety equipment to ensure you not only find the Sharks, but also have a safe and unforgettable trip. YACHTFISH has numerous pickup points in the Tampa Bay area in Tampa, St. Petersburg and Clearwater to make your Shark fishing trip easily accessible. Book your Shark fishing expedition today and create memories for a lifetime. Oh, and if you catch Old Hitler, you will instantly become world famous.